This week the NE Distance Elite Team adds not one, not two, but THREE new members to the Elite Team Athlete-in-Residence program. To kick off the introductions, we welcome Dylan Hassett to the NE Distance Lady Squad! Dylan Hassett joined the NE Distance Elite Team as a member of the athlete-in-residence program in the summer of 2017. Dylan, a native of Alpharetta, GA, had a very successful collegiate career at the College of William and Mary. She played an instrumental role in helping her team secure three Colonial Athletic Association cross country championship titles between 2012 and 2014, and was a member of three teams that qualified for the DI NCAA Cross Country Championships during that time. Dylan was also a standout runner on the track, particularly in the 10,000m. She was twice the CAA Conference 10000m Champion, was the 2014 ECAC 10000m Champion, and qualified for the NCAA East Regional in the 10000m her sophomore, junior, and senior years. Upon graduating in 2015, Dylan joined the ASICS Greenville Elite Track Club located in Greenville, SC. While there, she enjoyed a very solid start to her professional running career. 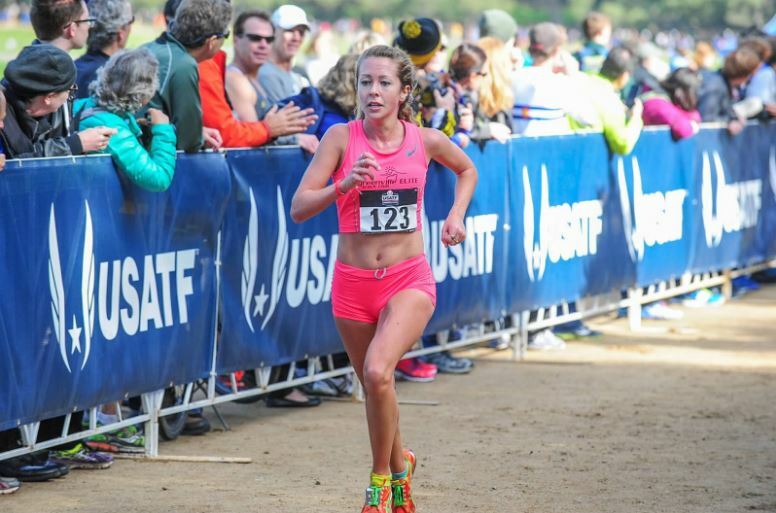 She placed 15th at the 2015 USATF Club Cross Country Championships and ran an incredible 1:14:07 in her debut half marathon in Jacksonville, FL in January of 2016, the latter performance qualifying her for the 2016 US Olympic Marathon Trials. Later on in 2016 she also lowered her 10,000m PR to 34:03 at the Portland Track Festival. With her eyes set on long term goals of improving her half marathon time and eventually moving up to the full marathon, Dylan joined NE Distance looking to take the next step in her training. 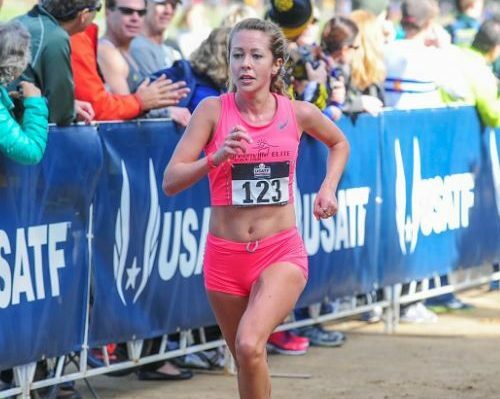 Ready to embrace Coach Kurt Benninger’s training philosophies and excited to train alongside NE Distance’s group of talented runners, Dylan hopes to improve her racing abilities in addition to her fitness, and to be competitive at USATF Championships. She is also eager to begin working with local RI youth as the middle school coaching aspect of the NE Distance Elite Team was another big driving factor in her decision to journey up North. After spending many of the last few summers coaching at an elite high school running camp in Colorado, she knows first hand how big of an impact sports can have in a young person’s life. She looks forward to encouraging young athletes to pursue their passions and to helping open up opportunities for their futures.